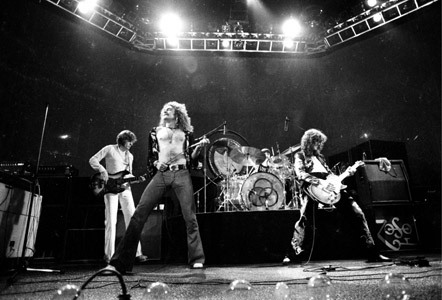 Along with the Beatles, Led Zeppelin are the definitive “band.” With four distinct personalities, unprecedented success, an iconic sound, and loads of unusual behavior that have evolved into legend, LZ raised the bar for every Rock n’ Roll band to come. Maintaining a well protected mystique during their most prominent years, few know the true story behind the world’s greatest rock band. In 1975, LZ embarked on a North American tour that would go down in Rock history as one of the most wild and legendary tours ever. One lucky, young journalist, by the name of Stephen Davis, was invited to join the party. 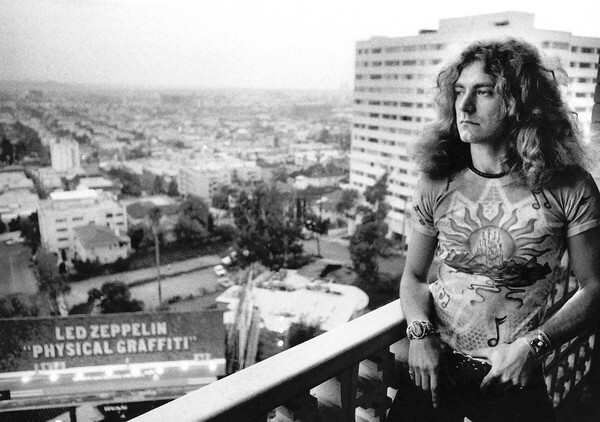 LZ had just released the now classic album, Physical Graffiti, and used this tour to promote new songs like “Kashmir,” “The Wanton Song,” and “Trampled Under Foot.” Davis, one of the few members of the press that LZ trusted, was given a backstage tour pass, personal interviews, and a seat on the infamous Starship airplane. His entire experience was documented in three notebooks, which Davis lost for 30 years – only to be rediscovered in 2005. That discovery led to this book. Unveiling some legendary events – like LZ’s stay in Los Angeles – providing honest criticism of performances, and giving insightful details about the people and environment of LZ’s world, Davis paints an enthralling picture, drawn from the eyes of a young journalist living the dream. With many hilarious and unbelievable stories that have become Rock folklore, greatly influencing the cult classic Almost Famous, LZ-’75 is a must read for any Zeppelin fan or Rock history buff. A relatively short and easy read, this book takes you back to a time when Rock n’ Roll ruled. It’s hard to imagine, but in 1975 LZ were the most commercially successful band in the world – akin to a modern-day Rihanna or Katy Perry. Dethroning the Beatles, LZ played for the largest crowd in history, and in 1975 Physical Graffiti was No. 1 on the Billboard Charts. Davis’ tale is an insiders look on how the band members and entourage kept their sanity, and kept the show rolling amidst this unprecedented success. From Page’s battle with a broken ring finger to Bonham’s split personality to Plant’s historic quotes (“I am a golden god!”) to John Paul Jones’ subdued English manner, Davis shows the real Zeppelin, warts and all, as they once again crossed the pond to conquer America’s youth. 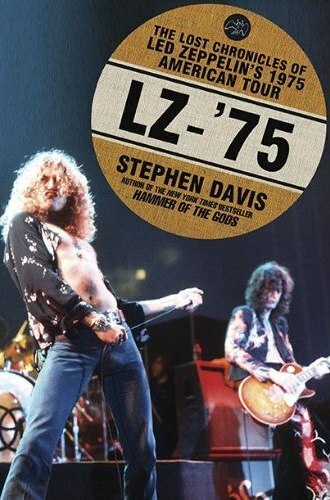 So check out LZ-’75 by Stephen Davis for an entertaining and unimaginable look back at the high water mark of Rock n’ Roll! And I thought the Rollingstones were wild. Sounds interesting. And to have lost those notes for 30 years. What’s with that? Haha yea, I don’t know, I would have guarded those notebooks with my life.